Want to try great apps without hurting your wallet? We’ve selected 26 iPhone, iPad and iPod touch apps that are now free. 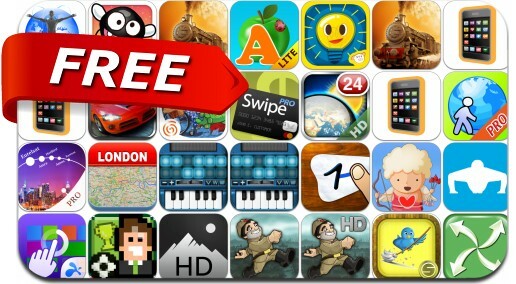 This apps gone free alert includes Redline Rush, Rails, MegaWeather HD, HD Wallpapers, Piiig Labs, Pushups Trainer, Skill Game, Where To Go?, Football (Soccer) Fantasy, Bouncy Bug and many others. Get all the weather information you need, right from your iPhone. Grandpa and the Zombies - Take care of your brain! Where To Go? - Find Points of Interest using GPS.